Sports in colleges is a category in itself. There are several university teams such as Clemson Tigers, USC Trojans or Ohio State Football team that have a fan following as crazy as the national football or baseball leagues. But there are a very few fantasy sports platforms that are dedicated to college sports. 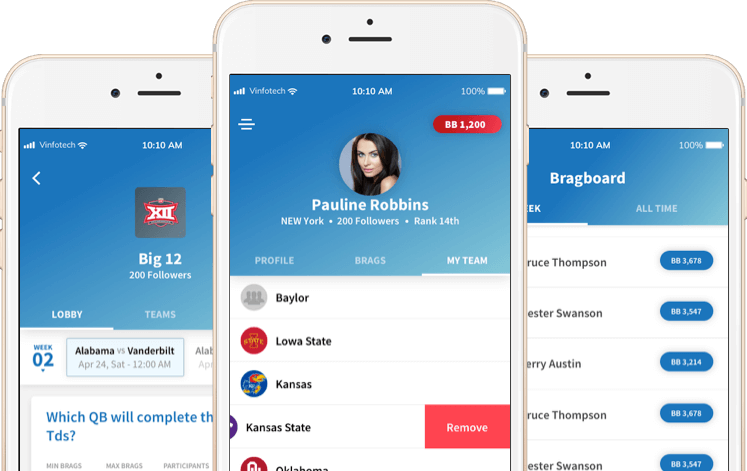 Lavell Malloy thought of creating a fantasy sports website for college sports where lovers of college sports teams would engage in playing fantasy games. We loved the idea because we had built several fantasy platforms that would engage fans of famous leagues and sports so far and now we had the chance to add a completely unique platform to our portfolio. Are there enough lovers of college sports to engage in fantasy sports? We answered the question by showing him several examples of some niche and unique platforms that we had built and that eventually became successful businesses. I want to build a platform which provides daily fantasy contest exempted from the definition of illegal gambling, and whose main focus is to bring together and engage lovers of college sports. We would develop and launch the app with a combination of Daily fantasy contest and social aspects. I want the app to be completed ahead of the NCAA season. We can definitely complete the app in the committed timeline. The app should appeal to college and university students and inspire them to play. Users can answer questions about different game stats like: Passing Yards; Receiving Yards; Rushing Yards; Sacks; Interceptions and Kicking Points. 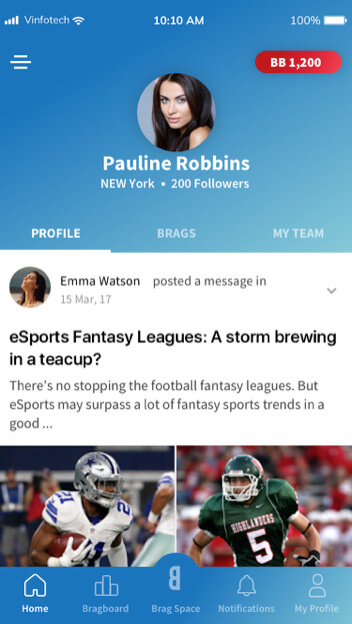 Users can follow favorite teams and users, view other Braggers Brags on their Brag Space and comment, like, or share with others! 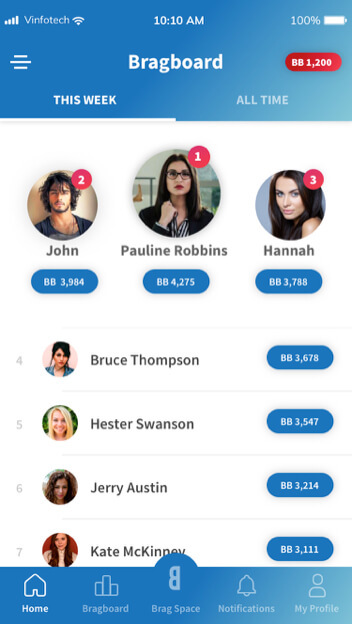 Brag House is a platform where users create profile, follow favorite teams and users, participate in games, and earn virtual money. I want to compete against other fantasy sports players of other universities and see my own college team win. I want to play fantasy sports every day and compete against my pals in my college. I want to interact and play with other fantasy sports players who like college sports. 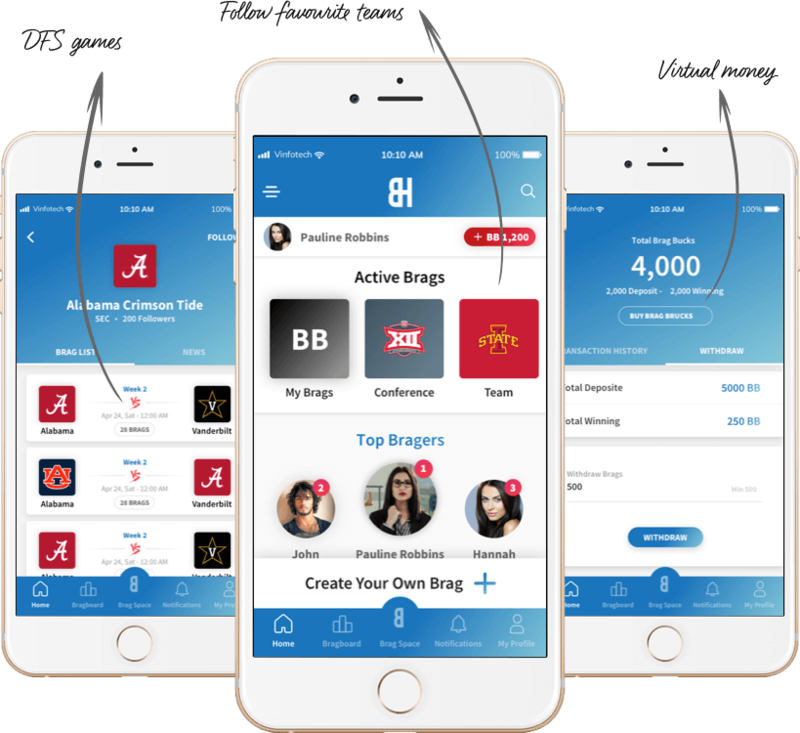 Team Vinfotech created a stunning fantasy sports app that truly echoed the preferences of American college students. We compared various sports betting-related communities to understand what all people want in such communities. We realized sports was indeed an area where people do want to engage in competitive betting. We compared various fantasy sports website & mobile apps for college sports available in the market to understand the options loved by American college students. 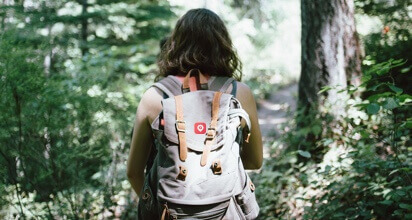 Our user demographic profiles spanned across American universities, and college sports lovers in and outside college. This helped us immensely in shortlisting the features that were essential for the app. We had several video calls with Lavell so we could keep him constantly in the loop about our progress with design and development. 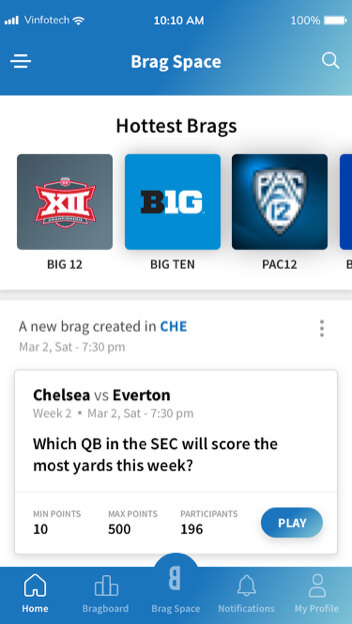 Braghouse as to be a DFS and fantasy sports app on college sports targeting university students and college team lovers. We kept the designs jazzy with a English colours and designs. Our wireframes gave Lavell complete confidence in the project. Our team moved confidently towards design part of the fantasy sports application at this stage. Now we engaged in front-end development working through how the designs would interact with college sports fans and fantasy sports players. Our developers were constantly in communication with Lavell through our Project Manager. This accelerated development since any anomalies were quickly resolved. We met our timeline and conducted the beta testing and eventually launched the application ahead of NCAA. 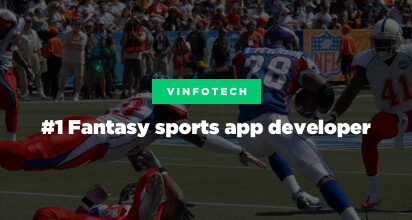 How Vinfotech can help you with fantasy sports app development?